Home > Shop > Handmade clear brown stone smoking weed pipe. Handmade clear brown stone smoking weed pipe. 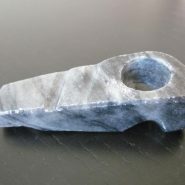 New Handmade MINI stone smoking pipe for weed. half clear half brown color mix 3.5" long. come with free pipe screens. 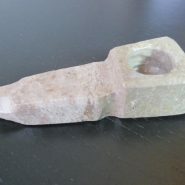 This stone smoking pipes remind me the birds that visited at my green garden this morning. stone Pipe smoking can be an extremely rewarding hobby for those with the patience to learn it.